A land of excitement, adventure and dragons! 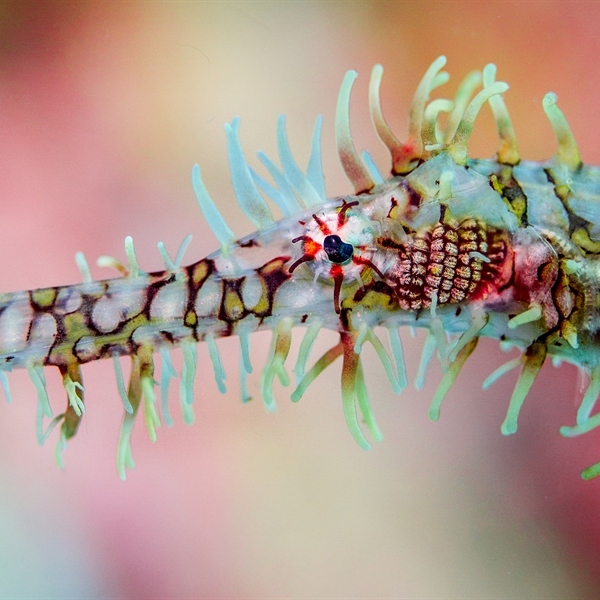 Komodo is a destination that will leave you blown away and wishing for more after every dive. 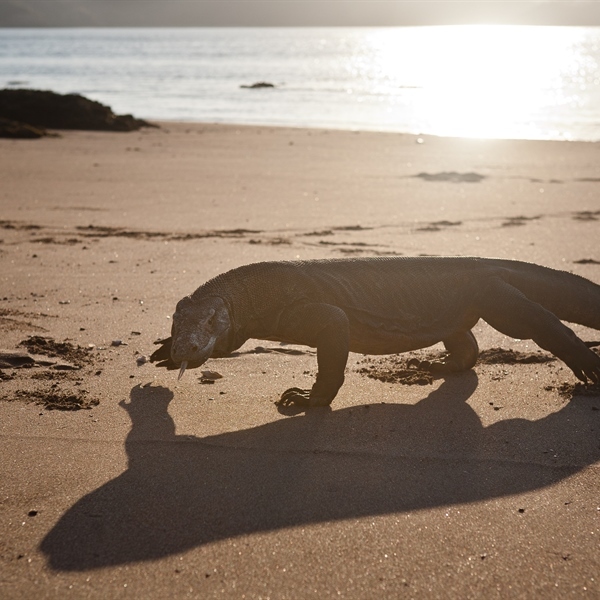 Not only will you have a varied diving itinerary you will also have the opportunity to meet the Komodo dragons that tend to patrol the beautiful beaches. 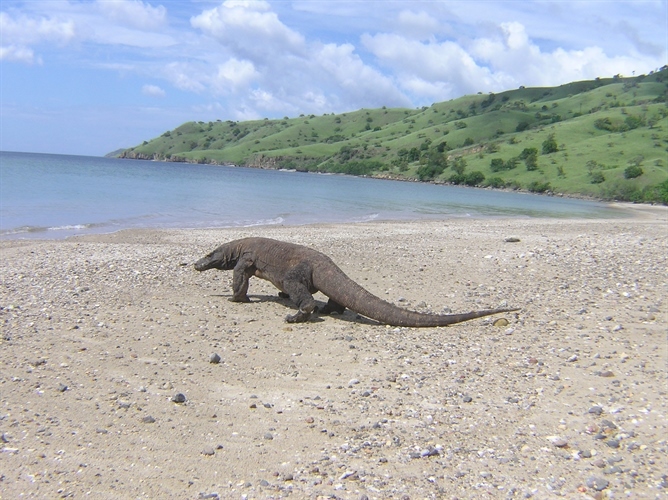 Komodo, located in the Lesser Sunda is not only know as a heaven for divers, it is also the land of the dragons and we guarantee you are in for an exciting and adventurous trip. Here you can see schools of fish patrolling the abundant, diverse and colourful coral reefs as well as oceanic white tip sharks, manta rays, eagle rays, schooling jacks and occasional Molas in Manta Alley. This part of Indonesia is best experienced by liveaboard as you will be sailing amongst the islands of the park and taking in magical views of the seemingly endless rugged hills, pink sands beaches and crystal clear turquoise waters. 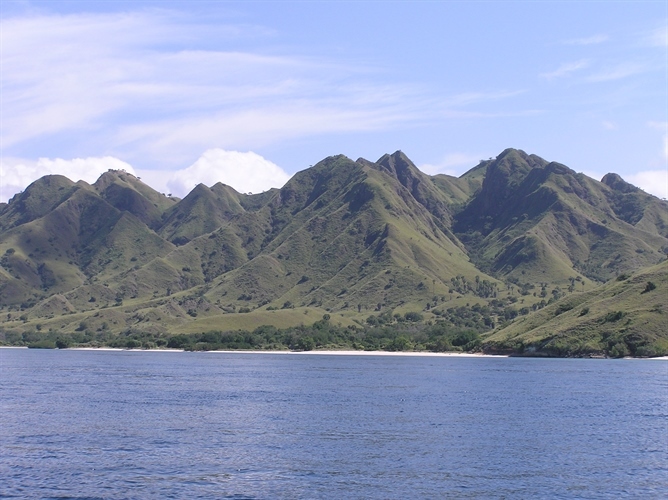 The Komodo national park offers a mix of fantastic diving and land excursions. This trip is perfect for those seeking a bit more than a week of diving in a luxurious environment. The Indo Aggressor accommodates 16 guests in deluxe and master cabins. 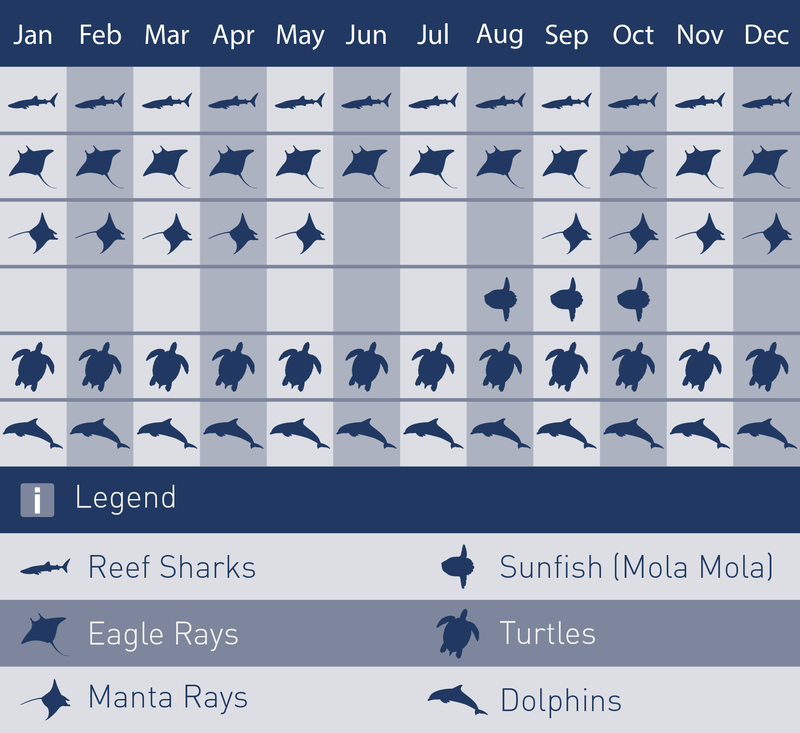 Experience diving the world’s top rated dive sites in comfort and luxury. Offering 7 and 10 nights’ itineraries, the S/Y Indo Siren will take you on an unforgettable adventure to the Komodo National Park. The Cheng Ho is a stunning, traditional wooden boat with detailed attention gone into every part of its design with a mission to make guests forget they are on a boat. The Komodo, Padar and Rinca Islands as well as many other smaller islands make up the stunning landscape of the national park. 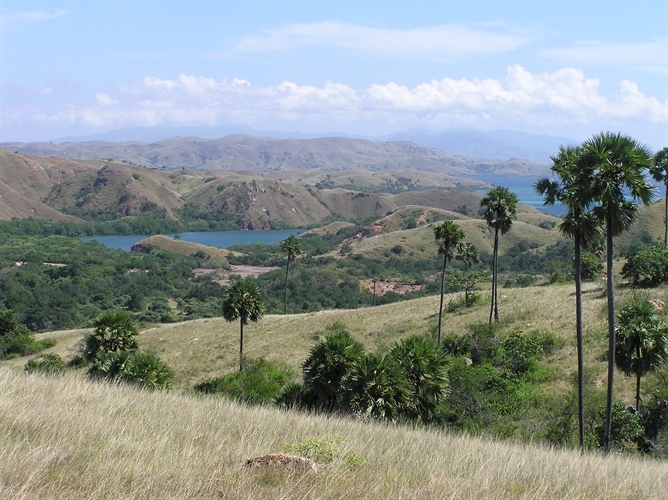 The Komodo National Park was declared a World Heritage Site and a Man and Biosphere Reserve by UNESCO in 1986 with the main aim of conserving the dragons but it has now been extended to protect its entire biodiversity, both marine and terrestrial. 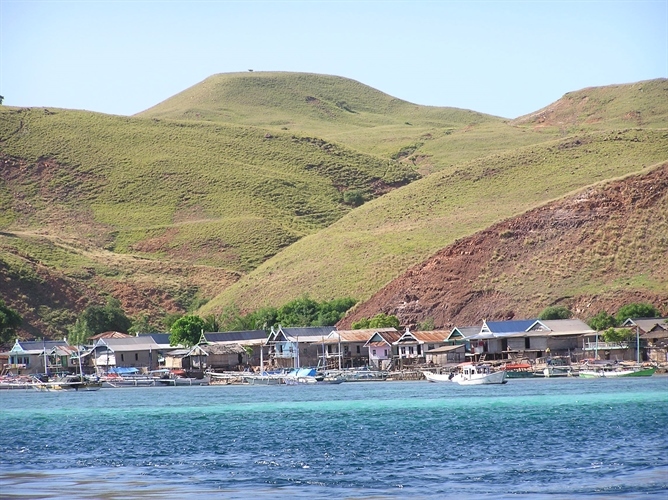 Komodo is home to over 260 species of reef building coral, 70 species of sponge and over 1000 species of fish, marine reptiles and marine mammals. The waters around the Sunda Sea are teeming with marine life including reef sharks, eagle and manta rays, trevally jack and groupers, Napolean wrasse, bobtail squid, pygmy seahorses, nudibranchs and frogfish. Your diving experiences here will vary from shallow muck dives to sloping reefs, submerged pinnacles and steep reef walls. 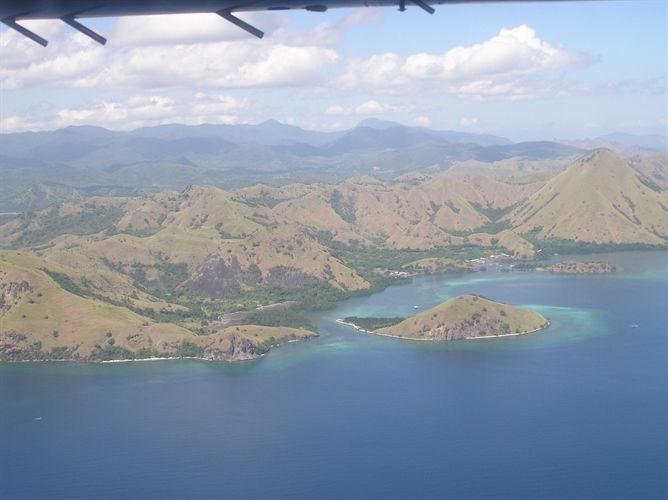 Komodo Airport near the city of Labuan Bajo (LBJ) is served with a daily direct flight from Bali and Jakarta. The luggage allowance on your domestic flights is 20KG. Our packages include transfers on arrival and departure day. On arrival you will be met by one of our representatives and transferred to your liveaboard. Liveaboard operators offer trips around Komodo all year round. The high tourist season runs from April to August which means there will be more trips on offer. November to March is the rainy season. 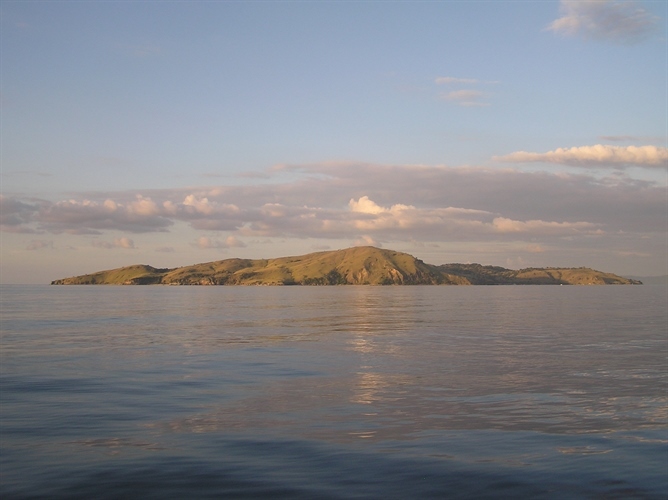 Water temperatures range from 20°C to 25°C in the south and 25°C to 28°C in the north of Komodo.